I visit eBay intermittently, to see what marvels are there. Some of the artifacts simply make me wonder. 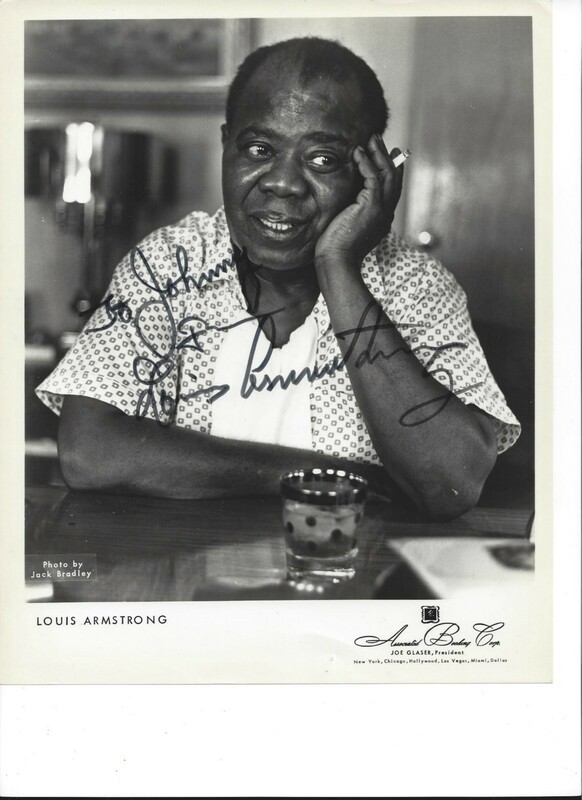 A fairly constant stream of obvious forgeries of Louis’ very distinctive signature. 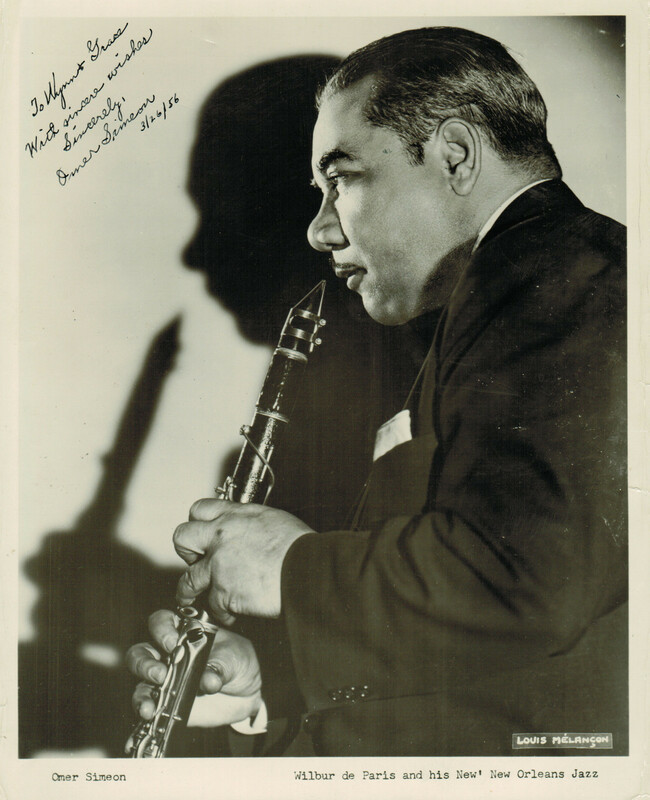 Autographed pictures of voluptuous women tenor saxophonists. 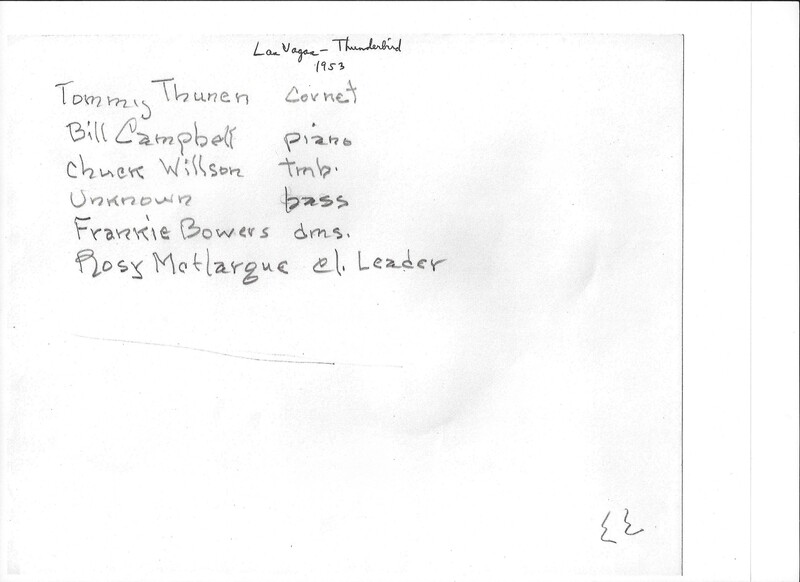 Even more autographs from Dave Brubeck and Les Paul — I wonder how much time, in their final years, these aging giants spent signing every and anything pushed in front of them. But here are some extraordinary sightings. The inscription reads: “Dear Ory, This copy is somewhat battered from being dragged about the country in a flannel banjo case, kicked under tables of basement dinners, and spotted with licorice gin and cigarette burns. (You know how rowdy the crowds in Zibart’s are, especially when it comes to their last copy). See you at Eddie’s. Your’n, Satcho”. 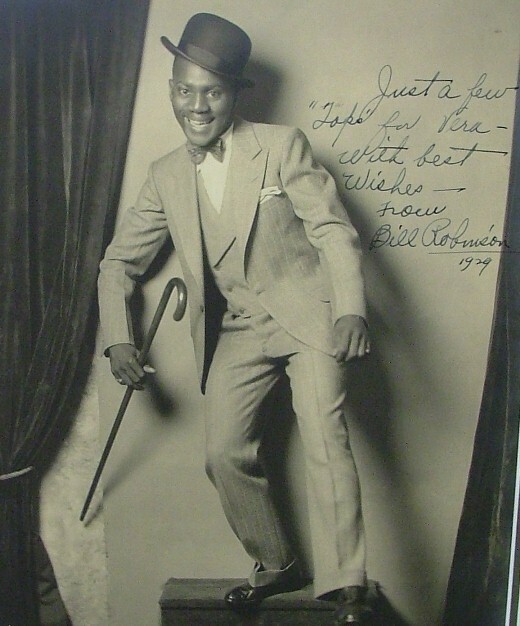 A truly glorious autographed photo of Bill Robinson, 1929. 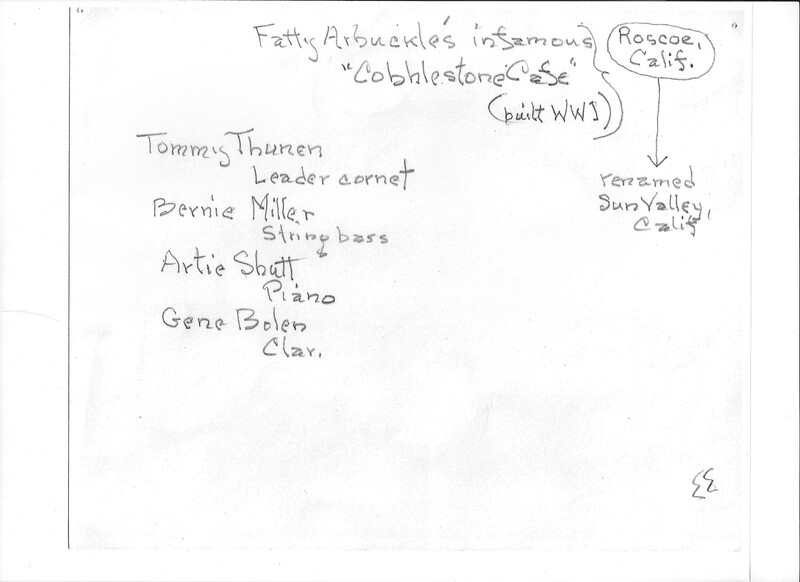 Here are a few people I celebrate, but whose autographs I rarely see. The wondrous clarinetist Omer Simeon. The underrated trumpeter Charlie Teagarden, Jack’s younger brother. Woody Herman’s Decca-period drummer, Frank Carlson, promising to return. 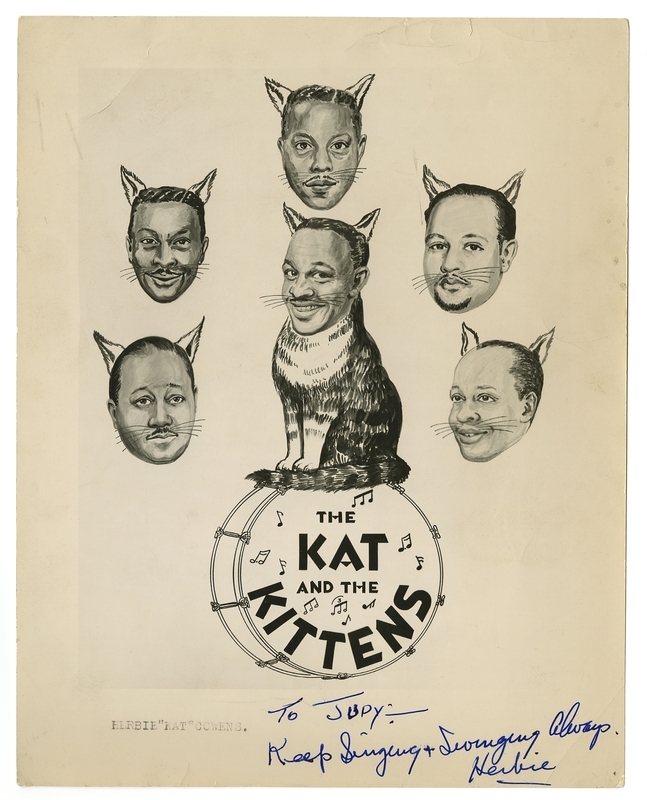 Drummer Herbert “Kat” Cowans and his little band — hot felines, no doubt. Does anyone recognize the Kittens, one by one? 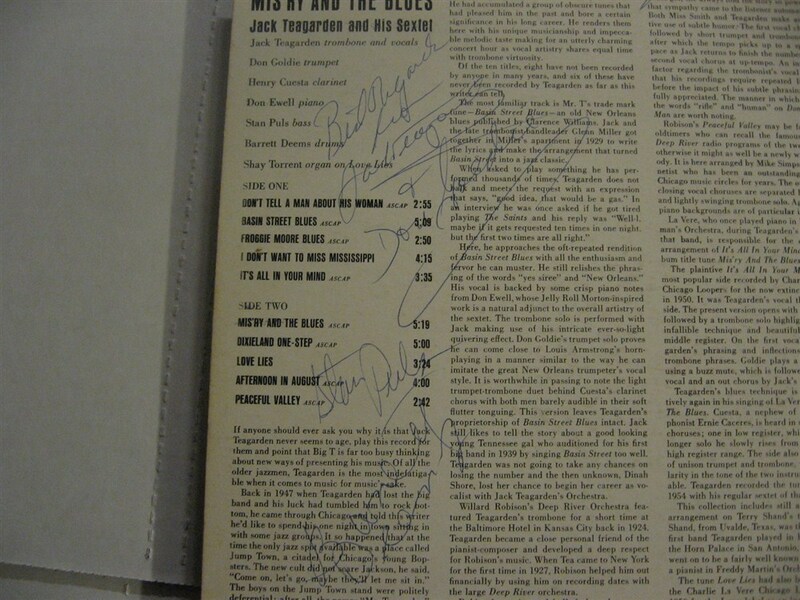 The 1962 recording, MIS’RY AND THE BLUES, signed by Jack Teagarden, Don Goldie, and Stan Puls. 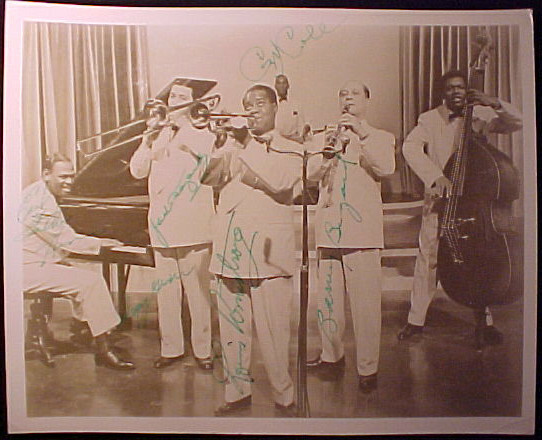 Here’s Mister Tea in 1950-1, surrounded by giants: Louis, Earl Hines, Barney Bigard, Arvell Shaw, Cozy Cole. 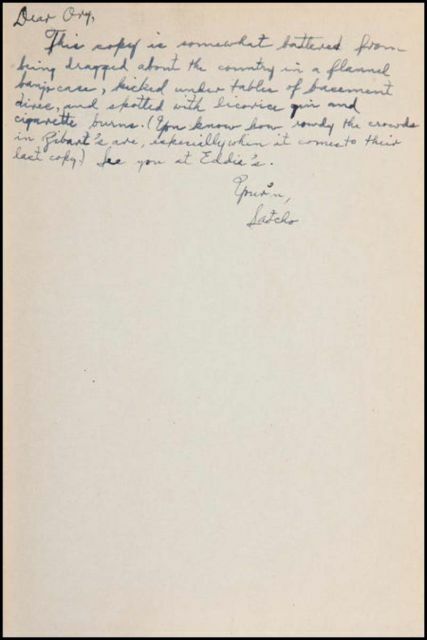 Usually only Louis signed in green ink; did he pass his fountain pen around for everyone to use? 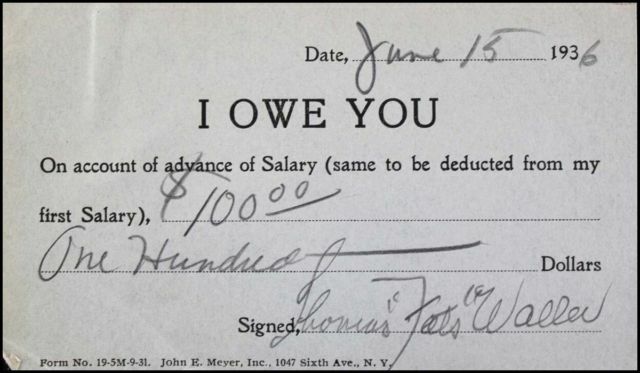 One hundred dollars was a great deal of money in 1936. But Fats had it backwards. We owe him, and still do. 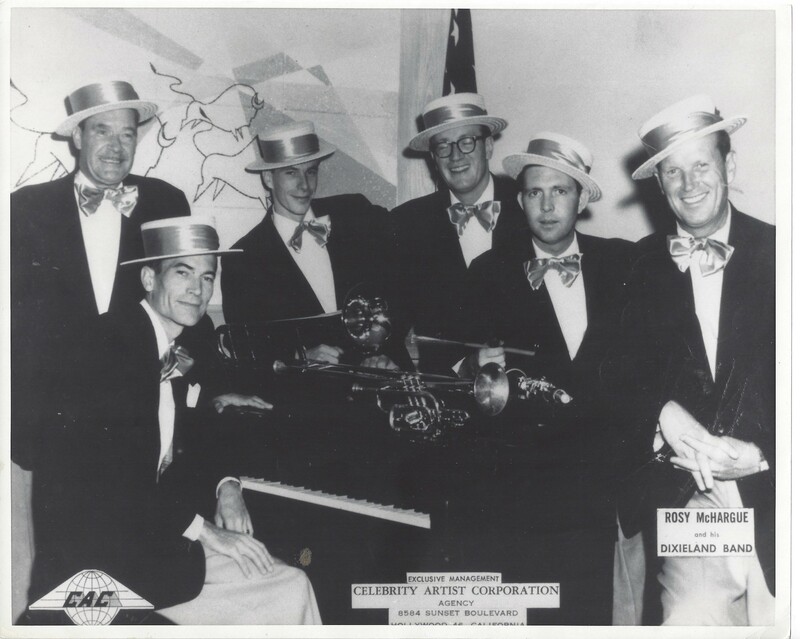 Jack with Max Kaminsky, cornet; Jerry Fuller, clarinet; Don Ewell, piano; Lee Ivory, bass (a serviceman filling in for Stan Puls, who had had an emergency appendectomy); Ronnie Greb, drums … a Japanese jazz band and a 45-piace string orchestra. Recorded for JOKR-TV, Tokyo, early January 1959. The theme, I GOTTA RIGHT TO SING THE BLUES, leads into THAT’S A PLENTY, and an appearance by a Japanese small band. Then comes music even more remarkable: Jack accompanied by a local symphony orchestra on STARS FELL ON ALABAMA, DIANE, PEG O’MY HEART, a slow BACK HOME AGAIN IN INDIANA. Then the Japanese band appears and the program closes with the SAINTS. What’s astonishing about this — particularly the segment with the symphony, which is as lovely as anything you could want — is the simple beauty of Jack’s pure, deep, melodic playing. The myth surrounding Jack (parallel to the one draped around his friend Louis) is that after the Twenties he was a shadow of his earlier self, repeating the same solos night after night. I would urge anyone who has even entertained this idea (I confess I have) to listen very closely to Jack’s earnest, understated ballads here. And although he looks tired, he is in beautiful form. Trombonists will admire his rich tone, his easy mastery, how he makes it seem so simple. 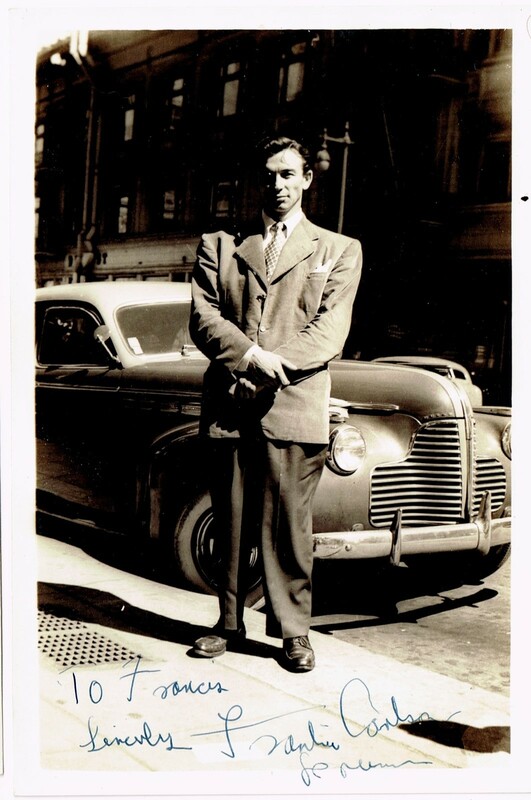 I think of what Bobby Hackett told Max Jones: “The Good Lord told [Jack], ‘Now you go on down there and show them how to do it,'”as if Teagarden was a celestial figure — true enough. Thanks to Steve Williams — whose YouTube channel, vitajazz is full of hot jazz and other surprises. I don’t quite know how “Wolfgang’s Vault” tapped into the great store of recordings made — presumably for the Voice of America — for the 1959 Newport Jazz Festival, but the second neatly-wrapped present has arrived. 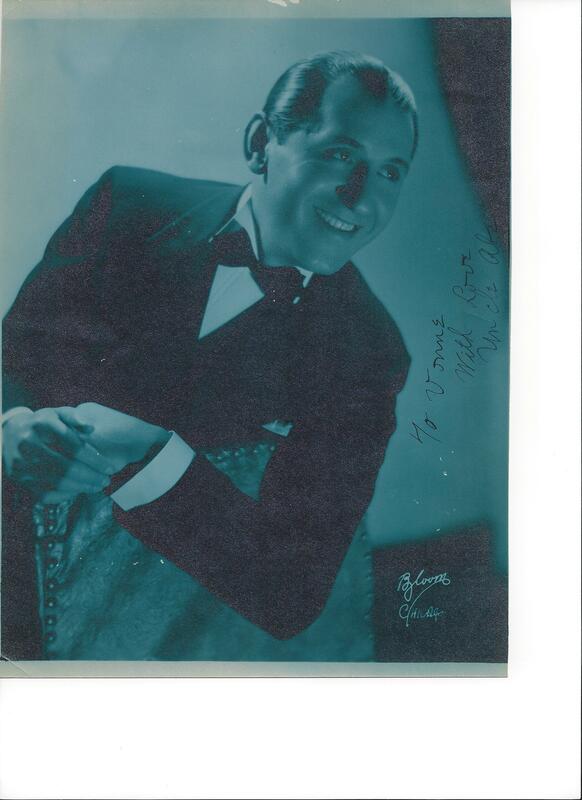 What interests me are two sets: one featuring the master, Jack Teagarden, with his working band of the time (Don Goldie, trumpet; Henry Cuesta, clarinet; Don Ewell, piano; Stan Puls, bass; Ronnie Greb, drums). Aside from delightful work from Ewell — in ensemble as well as solo — and a very happy Teagarden, the band itself is workmanlike rather than inspired. But for ROYAL GARDEN BLUES, a medley of ROCKIN’ CHAIR and BODY AND SOUL, and a closing SAINTS, Teagarden got to add his great friend and colleague (they had been recording together for more than twenty years) Bobby Hackett, who plays splendidly. Goldie, a very competent lead trumpeter with marvelous facility but less imagination, chooses to play a chorus or two of trades with Hackett, which perhaps a wiser man would have avoided. But Hackett has BODY AND SOUL to himself — two and a-half exquisite minutes, after which Teagarden says, “Wonderful! Bobby Hackett! The most beautiful trumpet in the world. Just trumpet from heaven.” And although I feel sorry for Goldie, I wouldn’t argue with Teagarden’s praise. SAINTS, taken too fast, closes the set. Goldie’s second try at a Louis Armstrong imitation is a liability; Ewell’s rocking stride and Hackett’s soaring solo more than make up for it. 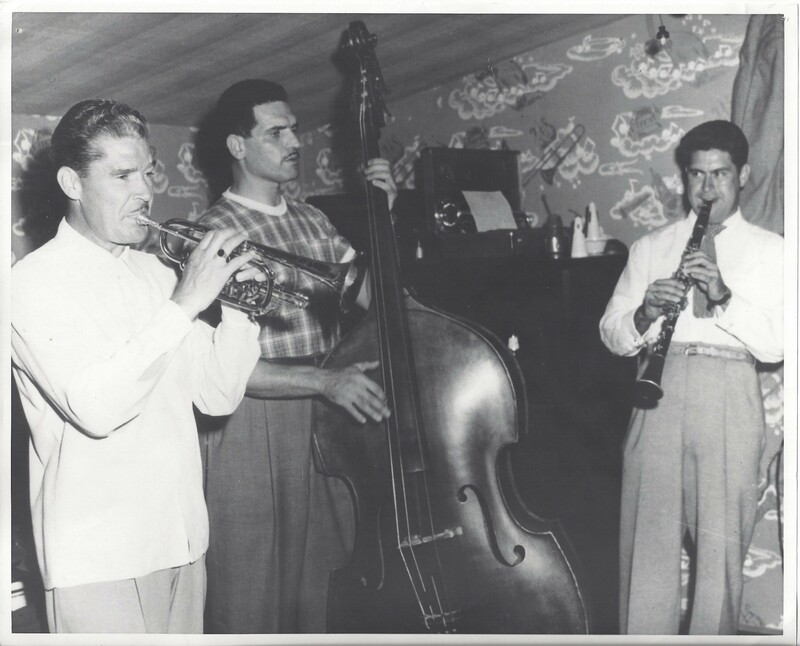 Three days earlier, the Gene Krupa Quartet had performed at Newport, with pianist Ronnie Ball, Lester Young-inspired tenor saxophonist and clarinetist Eddie Wasserman, and bassist Jim Gannon. Wasserman is rather off-mike, but that allows us to hear Krupa, in enthusiastic form, work his way through SWEET GEORGIA BROWN, a medium-tempo WORLD ON A STRING, a slow LOVER MAN, and a twelve-minute STOMPIN’ AT THE SAVOY. Again, this set is primarily notable for Krupa — fiercely himself wherever he was, which is something to admire, even amongst jazz writers eager for “innovation” and “development.” Krupa did attempt to go with the fashion of late-Forties bebop (the musical equivalent of the berets and dark glasses his musicians wore for photographs) but he did play much the same way in 1972 — when I saw him last — as he had in 1938. Why? Because it sounded good, as it does here. 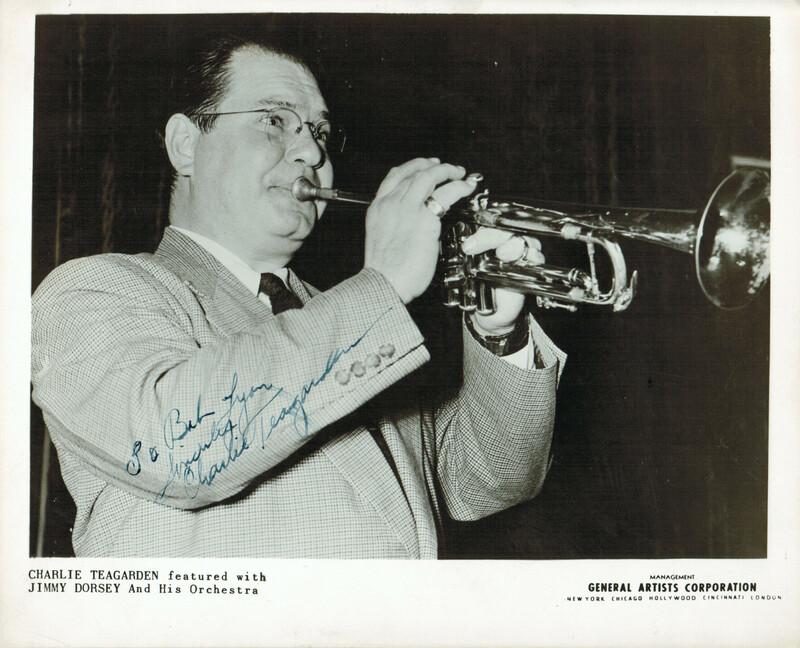 Finally, there’s a set from July 3, 1959, featuring Phil Napoleon on trumpet, Harry DiVito, trombone, the wondrous Kenny Davern on clarinet, the still-active Johnny Varro on piano, Pete Rogers, bass, and Sonny Igoe, drums. I haven’t had the opportunity to listen to this set, but the combination of Davern and Varro — or Davern and anyone — is enough for me. 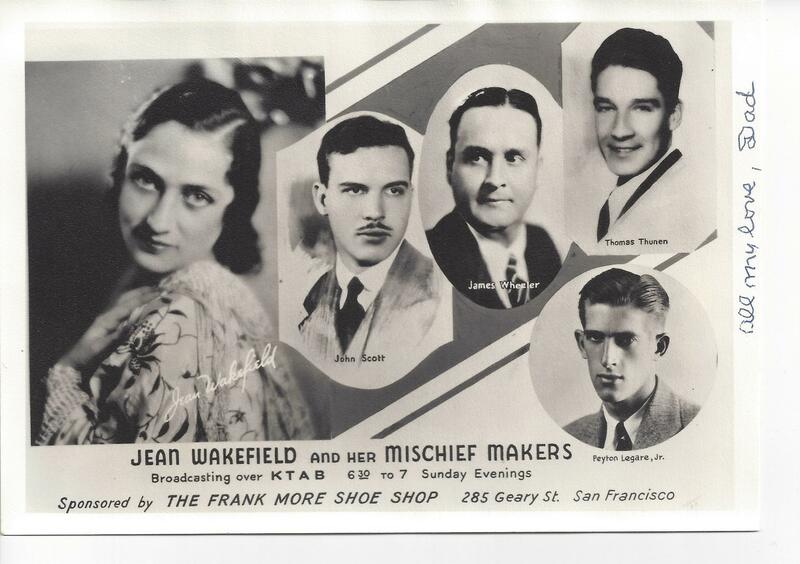 Although I would assume that the estates of the artists aren’t receiving payment for the dissemination of their music, at least more people are getting to hear it — pushing away the day when no one knows who Bobby Hackett, Jack Teagarden, or Gene Krupa is. (Not “was,” mind you.) Wolfgang’s Vault is also featuring other concerts from this edition of the Newport Jazz Festival, including Dizzy Gillespie . . . rarities coming to the surface for us to hear! What’s next? I have my fingers crossed that someday the concerts from the first years of the Festival will surface: I’ve been reading about those lineups for years. Someday, Wolfgang?